The Guildhall Cantata Ensemble (coached by James Johnstone and directed today by Pavlo Beznosiuk) draws on members of the Historical Performance Department at the Guildhall School of Music & Drama. In 2013 they celebrated John Dowland’s anniversary year at Hatchlands Park as part of the Guildford International Music Festival. 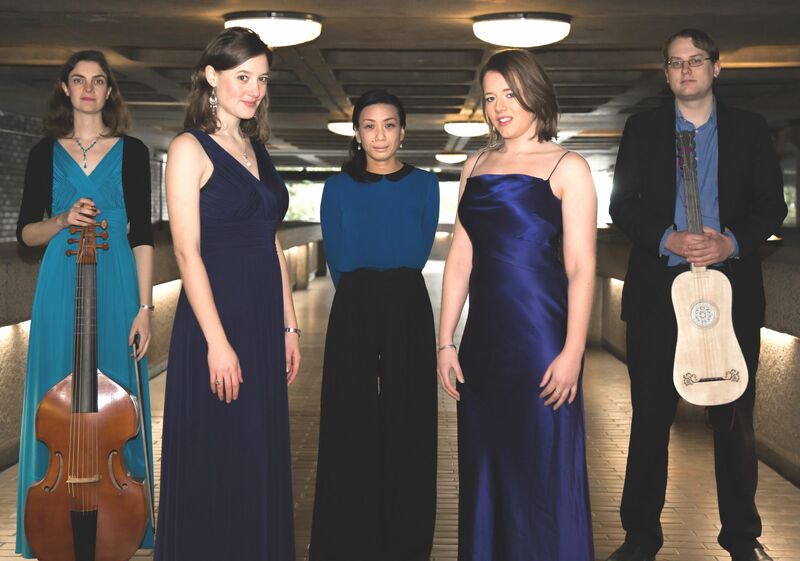 They have made regular appearances at St.Martin in the Fields, Christchurch Spitalfields, Blackheath Concert Halls and at the London Handel Festival performing repertoire ranging from 15th century songs to Bach cantatas. In 2015 they will premiere the first modern day performances of Charpentier’s chamber opera, Actéon changé en biche. 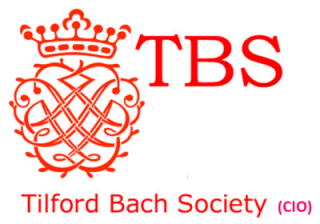 In this programme, devised by Emily Owen, the ensemble collaborates with Ceruleo to present some of J.S Bach’s chamber masterpieces as well as two of his best loved cantatas. Ceruleo is a flexible early music ensemble made up of students who met at the Guildhall School of Music and Drama. Formed in 2014, Ceruleo specialise in creating engaging concert programmes featuring the soprano voice in a chamber music setting. Emily Owen sings with groups such as Britten Sinfonia Voices, Florilegium, The Elia Ensemble and the Templar Scholars, alongside her own medieval vocal trio, Lucente. She also sings regularly with the National Youth Chamber Choir and teaches musicianship on National Youth Choir residential courses.Notable solo performances include Handel’s Messiah and Vivaldi’s Gloria (St Martin in the Fields) and well as in the London Handel Festival and at the John Tavener Memorial Weekend (St John’s Smith Square). She recently performed in the world premiere of John Tavener’s last major work ‘Flood of Beauty’ at the Barbican Centre with Britten Sinfonia Voices. Jenni Harper is a member of the Choir of the Guards Chapel, and sings with several ensembles including Philharmonia Voices, London Voices, RSVP Voices, The Sweelink Ensemble and The Armonico Consort. Recent perfomance highlights have included singing as a soloist in Handel’s Dixit Dominus with the Croydon Bach Choir, where she is returning to sing the solos in Mozart’s C Minor Mass, and singing the role of ‘Conversation’ in Charpentier’s Les Plaisirs de Versailles in a concert as part of The London Handel Festival. She was recently the soprano soloist for Dover Choral Society in their concert of Haydn’s Paukenmesse and Lewis’ Magnificat. Other solo and operatic performances include Bach St John Passion and Magnificat, Mozart Coronation Mass, Purcell Hymn to St Cecilia.